Description: Holly Lake Campsite is a business categorized under campgrounds, which is part of the larger category recreational vehicle parks & campsites. 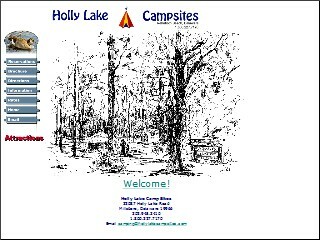 Holly Lake Campsite is located at the address 32087 Holly Lake Rd in Millsboro, Delaware 19966-4472. The Owner is R A Raley who can be contacted at (302)945-3410. Location & access map for "Holly Lake Campsite"